Halloween is around the corner, aside from a few bar strips and shopping mall decorations, the city is generally not overly charged for this occasion. 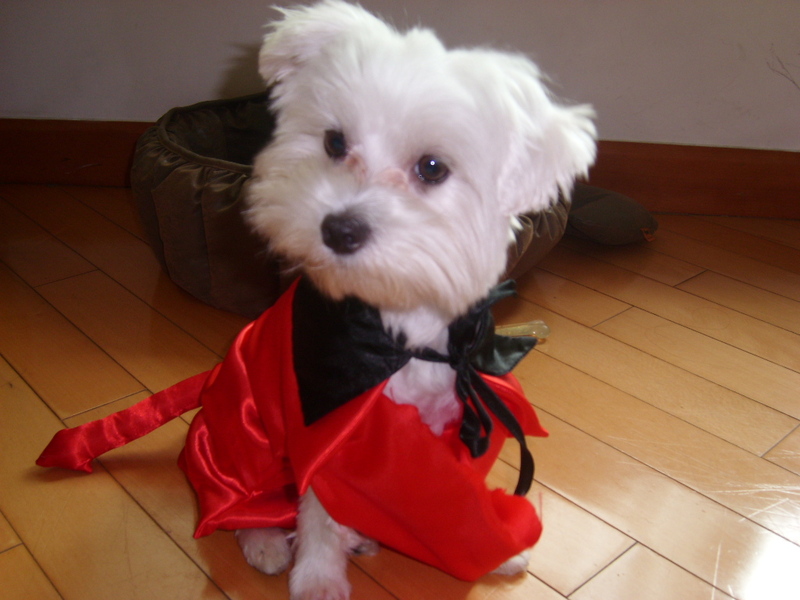 As this holiday is a celebration of ghosts, monsters, and all things devilish, the Chinese tend to stay away from that. In fact, there is a ghost holiday where incense and hell money are burned as peace-offering to ghosts and souls to leave the living alone. Since I am from Canada and have always enjoyed the trick or treat part of Halloween (when I was younger), I like to get my dog Pretzel into the holiday mood. Bossini (clothing store) have always liked pairing different animation companies to produce lines of t-shirts with colorful anime on them. 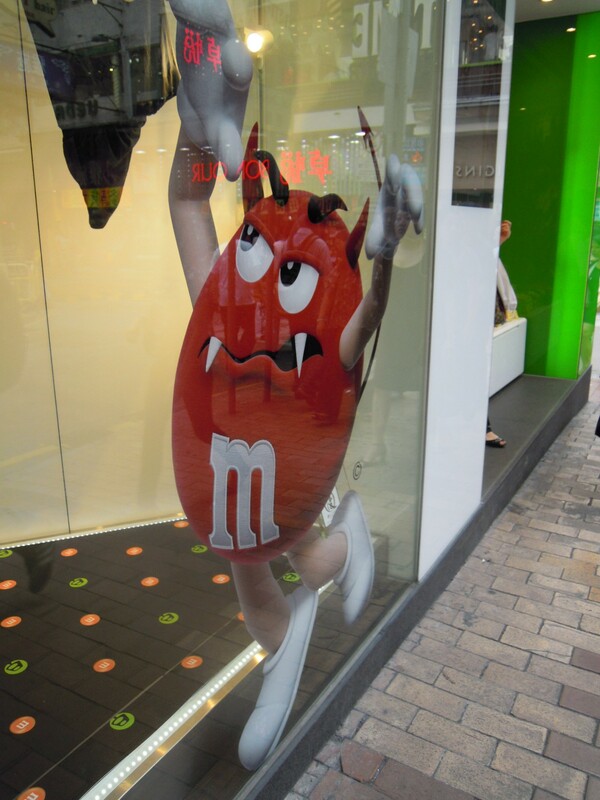 This season, they have launched a series of m&m t-shirts, and I love the little devilish m&m sticker on its window display. 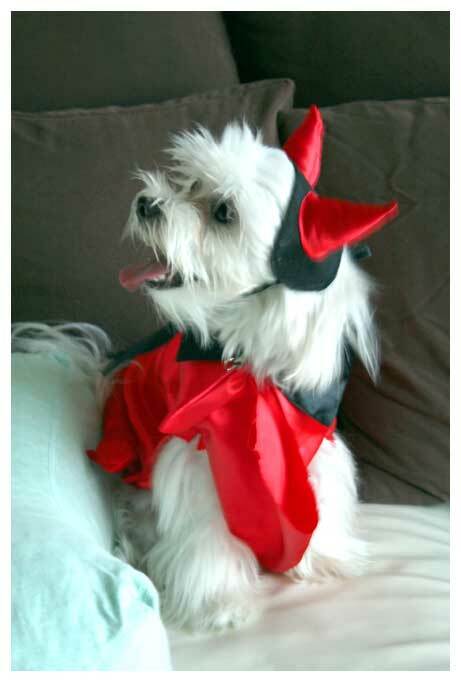 I decided to dress Pretzel up to compete for who is cuter, the m&m or my doggie?